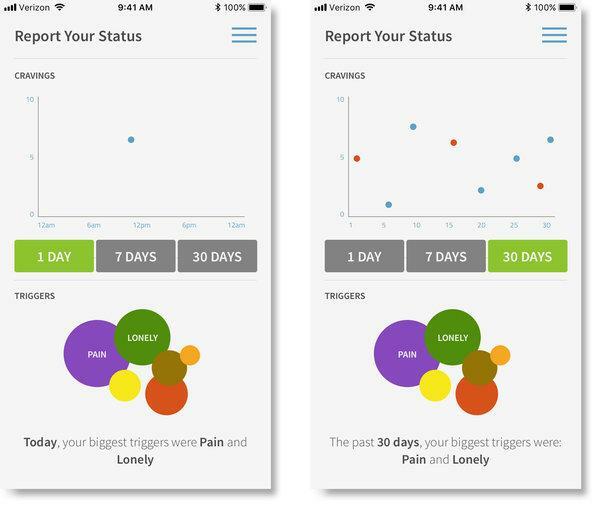 A new category of medical treatment offers “prescription digital therapeutics.” These are medical apps studied in randomized clinical trials, cleared by the Food and Drug Administration, require a doctor’s prescription and allow doctors to track patients’ progress. (There are) plans to develop prescription apps for schizophrenia and multiple sclerosis. Treatment apps might improve results for patients with psychiatric disorders. Health tech companies are making a big push to digitize medicine, introducing novel tools like digital pills that track when patients take their drugs and smart spoons that can automatically adjust to hand tremors. Now they want some patients to get prescription treatments from the app store as well. “It’s all the things you would traditionally associate with a pill or any other medication,” said Dr. Corey McCann, the chief executive of Pear Therapeutics, the start-up behind Reset. “But it just so happens to be a piece of software.” Pear Therapeutics is at the forefront of a new category of medical treatment, offering what company executives call “prescription digital therapeutics.” These products, they say, are medical apps that have been studied in randomized clinical trials, cleared by the Food and Drug Administration, require a doctor’s prescription and allow doctors to track patients’ progress. This month, in a sign of momentum behind the idea and how it might expand to other health conditions, Novartis, the Swiss pharmaceutical giant, announced that it had teamed up with Pear Therapeutics. Together, they plan to develop prescription apps for schizophrenia and multiple sclerosis. Companies like Pear are trying to stand apart in a global market of more than 318,000 health apps by arguing that their products provide assurance of effectiveness and safety. The advantage of their prescription treatment software, they say, is that apps making general wellness claims — like meditation apps marketed to soothe you to sleep — do not require F.D.A. review. But medical devices like apps that claim to treat or manage disease must submit clinical evidence to the F.D.A. and get clearance. A few medical experts, however, argue that the apps, while promoting themselves as a new medical therapy, are essentially just repackaging and rebranding existing treatments. They note that behavioral therapy done on a computer, instead of on a smartphone, was already a longstanding health treatment and backed by research. Reset is not the first prescription mobile medical app. The F.D.A. previously cleared software like BlueStar Rx, a prescription diabetes management app. But Reset is different because its primary focus is not disease management. It delivers an established behavior-modification treatment for addiction — which traditionally involves face-to-face outpatient therapy — entirely in digital form. In other words, the app itself is the medicine. The Reset app contains 61 therapy units, with titles like “Coping With Thoughts About Using,” including lessons, skills-building exercises and quizzes on the material. The recommended dose: four therapy lessons per week. The idea behind the app is to teach patient skills — such as avoiding situations that trigger their substance use or learning how to refuse an offer of drugs — to modify their behavior, thereby promoting abstinence. “We look for a clinical study that gives reasonable assurance of evidence to the claims that people are making,” Mr. Patel said. Since web-based behavior therapy is already a longstanding treatment, however, critics say the app format isn’t much of a medical innovation. In addition, several medical experts questioned the clinical trial data that Pear provided to the agency, because it came from a study of the precursor desktop-based therapy product, not the mobile app. Dr. Frances, the psychiatrist, said the study was also problematic because it offered financial incentives only to the patients who used the web-based program — making it difficult to determine whether it was the online program, the money or just newness that temporarily increased their abstinence. Dr. McCann, Pear’s chief executive, said that Reset used the same content as the web-based program and that it had been designed to be used with behavioral incentives — which is why it offers financial rewards. “The two, when used in combination, produce the efficacy effect,” he said. Pear has also submitted an opioid addiction treatment app called Reset-O, which works in conjunction with anti-addiction medication, for F.D.A. review. “It’s a very novel approach to treating certain central nervous system conditions,” said Gary Nachman, a specialty pharmaceuticals analyst at BMO Capital Markets who hosted a conference call for investors with Pear executives in January. Even so, Mr. Nachman cautioned that many unknowns remained. For one thing, he said, treatment apps, like other novel medical products, may turn out to be less effective in the real world than in research studies. But big pharmaceutical companies are paying attention. The partnership between Pear and Novartis, a leading maker of neurological drugs, could add some major drug industry credibility and research power to the push for prescription digital therapeutics. Dr. James E. Bradner, president of the Novartis Institutes for BioMedical Research, said the two companies planned to rigorously test each app first as a stand-alone treatment and then in combination with prescription medications. He added that he believed such treatment apps might one day improve results for patients with psychiatric disorders.